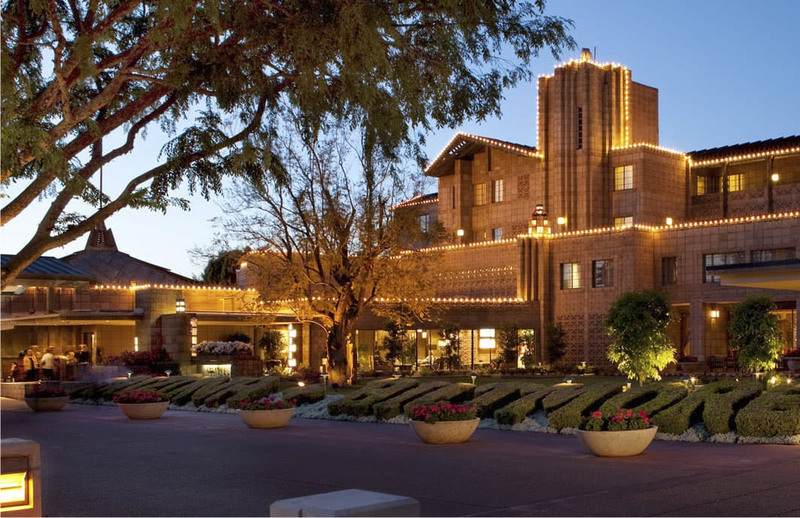 The historic Arizona Biltmore Resort & Spa was the inspiration for Phoenix’s surrounding upscale “Biltmore District.” Designed by a former Taliesin architect and supervised by Frank Lloyd Wright, the hotel remains the world’s only existing hotel with Wright’s direct design influence. Upon opening in 1929, the hotel was dubbed the “The Jewel of the Desert” and became internationally known for its iconic, pre-cast masonry “Biltmore Block” veneer. A true masterpiece, the art deco style Arizona Biltmore Resort & Spa is a distinguished member of Hilton Hotels’ Waldorf-Astoria Collection, one of the thirty-two Phoenix Points of Pride and is a member of the Historic Hotels of America. In navigating the delicate Frank & Albert’s restaurant renovation and expansion, TynanGroup worked closely with both the Owner and Architect to ensure the new structure and design melded seamlessly with the original historic resort. This entailed closely monitoring the interior and exterior finishes to ensure compliance not only with the contract documents, but also with the existing building design and details. Great care was especially taken with the new “Biltmore Block,” pushing the contractor to match three separate shades of the original veneer, create exact block mold replicas and follow stringent spacing tolerances. TynanGroup maintained acute sensitivity to the work performed since the restaurant is located at the front entrance to the resort. Temporary exterior screen walls were installed around the project perimeter to both ensure guest safety and minimize the visual impact resulting from construction operations. Remodel of the interior spaces, connected to the restaurant, were also completed to create a condition where the guest was unaware of the bustling construction activity. A great deal of problem solving, coordination and oversight was required to connect the new electrical, fire alarm, fire suppressions, sewer, water, data, plumbing and refrigerant systems to the existing structure. In an effort to minimize disruption to the operating resort functions, system connections were closely coordinated with the property’s director of operations and a majority of the connections were made at night. The project also incorporated many aspects of the latest green building systems and materials, including low VOC finishes and efficient HVAC with LEED compliant refrigerant. TynanGroup’s successful management of the project’s budget, schedule, design process and project team created a seamless blend of the new restaurant design and construction with the historic structure and ongoing operations of the iconic Arizona Biltmore Resort and Spa.